On Tuesday, Paula Deen announced that she has developed type 2 diabetes and since then the 64-year-old southern chef has come under fire with criticisms from the public and her own peers. The backlash comes from the fact that Deen was diagnosed three years ago and in that time she continued to present her Southern recipes which call for a notoriously high amount of butter, sugar, and other fattening ingredients. In addition, she revealed that she was launching a new campaign, "Diabetes in a New Light," in partnership with diabetes drug company Novo Nordisk, which makes it look like she decided to come forth with the truth just to peddle the products she's been using. "I made the choice at the time to keep it close to me, to keep it close to my chest," she told USA Today in her first interview about the disease. "I felt like I had nothing to offer anybody other than the announcement. I wasn't armed with enough knowledge. I knew when it was time, it would be in God's time." "But now I'm coming with good information, something that can help and bring hope to other people," she continued. "It may sound cliché, but it's the God-honest truth." 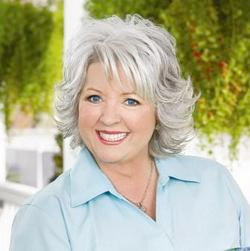 Okay, I'll start by admitting that I always enjoyed watching sweet Paula Deen during my Food Network-obsessed days. She seems like such a down-to-earth lady and we can't pretend like her dishes haven't left many of us salivating. But how much responsibility truly rests on a TV chef who's intention was never to give out health advice? In fact, during her appearance on the Oprah Winfrey Show in 2007, which I dutifully watched and nearly recorded by the way, Oprah asked Deen how she handled criticisms over her dishes. "Honey, I'm your cook, not your doctor!" she exclaimed. Point taken. The woman was here to feed us fried and cheesy comfort, not chat about about saturated fats and heart disease. Are we so naïve to think that because a television personality does certain things, that they alone are to blame for the choices we make? Yes, she's a role model with some responsibility, people have looked to her for guidance in the kitchen, and maybe she gave off the impression that this is how she always ate with no repercussions (until now), but ultimately it's on YOU to know how many calories you're shoving down your throat, about balanced meals and portion control. Those hearty meals that are laden in butter and fat? There's no reason why we can't indulge on them as a treat every now and then. It's just unfortunate that Deen decided to use this platform to raise awareness about a disease that currently affects nearly 26 million people in the U.S. to also distribute biased information from a pharmaceutical company. 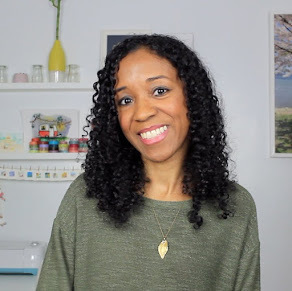 But in the end, it's getting people to talk about diabetes, she's finally sharing healthier meal options, and it's drawing links between diet choices and diabetes. (It should be noted that your risk for developing type 2 diabetes also increases with family history, obesity, age, and inactivity.) Apparently, she's already made small adjustments since being diagnosed in 2008 like getting on the treadmill and giving up her favorite drink - sweet tea. "That's a big trick for a little Southern girl," Deen told USA Today. "I calculated how much sugar I drank in empty calories, and it was staggering. I would start drinking tea at lunchtime and drank it all the way to bedtime." As for her dietary habits, Deen said she hasn't made many changes in how she eats and cooks, because "I've tried to use moderation since I hit a certain age." Still, it'll be interesting to see how she maintains the classic Southern cooking that won her popularity while being mindful of her new health concerns. 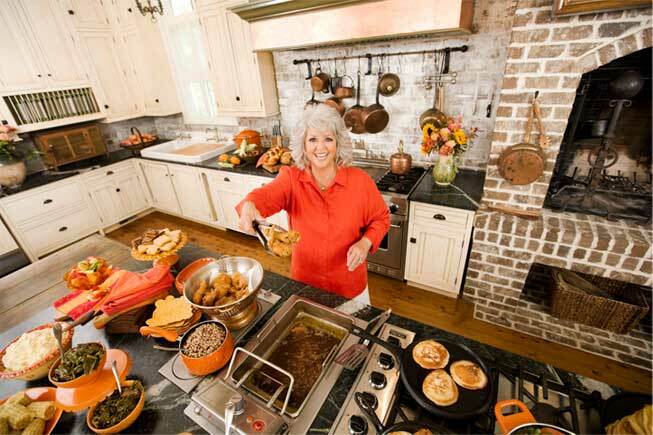 I watch Paula all the time and always in shock in the way she cooks. She puts butter on EVERYTHING. She will make a butter induced, chocolate covered jelly bean caramel casserole.. it looks good but i would NEVER even attempt to make that. Chocolate covered jelly bean caramel casserole? That sounds kind of ew actually. But I didn't know this: she's got a recipe for a burger nestled between two glazed donuts?? I haven't had much opinion about all this, but I find I agree with you. We must take responsibility and seek knowledge for what we choose for ourselves. People are so quick to point and blame anymore and frankly I find it extremely disturbing. I know. I admit, I find myself straddling the line between personal responsibility and influence from the media, but at the end of the day adults should take their lives into their own hand rather than be easily swayed by the things they see, hear, read, etc. Question everything. Go further. Don't buy into it just because someone told you so. Who are they? Are they in any position of expertise? Afterwards, teach your children to do the same so that they don't think it's okay to pop out babies when they're still incapable of feeding themselves just because MTV makes it look cool. I think Paula should go with the cooking she knows and enjoys - the flack about not being a resource for diabetics is nonsense - some folks need to get a grip. The best diabetics I know are the ones that are so quiet about having it, you'd never know. The worse ones are the ceaseless carping ones that stuff their faces with junk while moaning loudly what its going to do to their sugar levels.